Baszków is located 6 km west of Krotoszyn, not far from the border of the Greater Poland and the Lower Silesia Provinces. As to reach there you need to, from Krotoszyn drive southward down the road no 15 to Milicz. After 6 km, in Zduny, turn right for Kobylin. Driving on straight ahead, you cross Baszków, in which the palace stands by the main road. The palace in Baszków was erected about 1800 by Mikołaj Mielżyński. 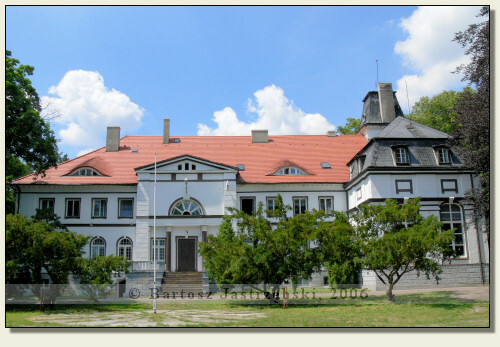 The subsequent owners of an estate were the Czartoryski family, who resided there until 1939. In the meantime the palace was rebuilt in 1860. At present it houses a residential home.